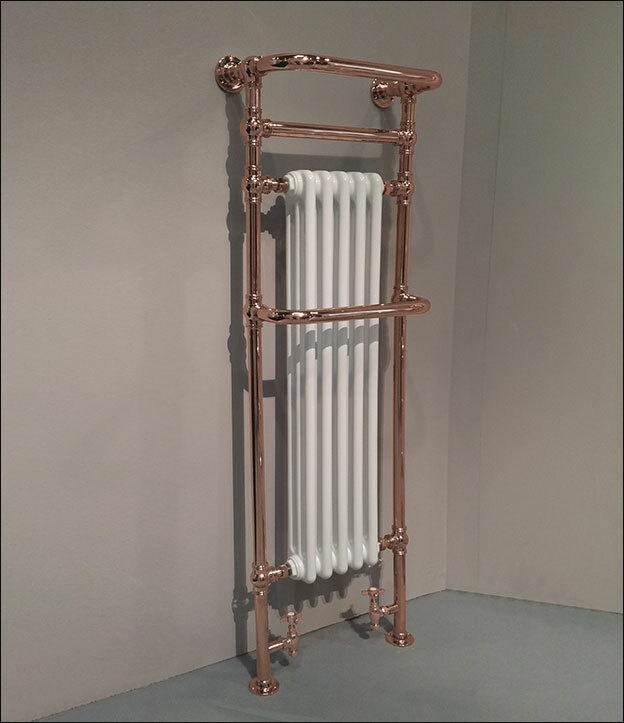 The Chester towel warmer is a traditional Victorian styled bathroom radiator in a copper plated finish. 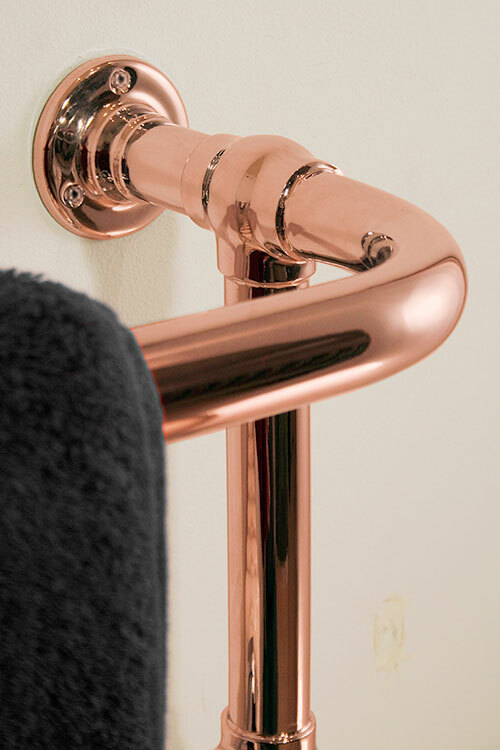 The internal white radiator supplies a high heat output, while the slimline width saves on space, so this towel rail is a great choice for both small and large bathrooms. 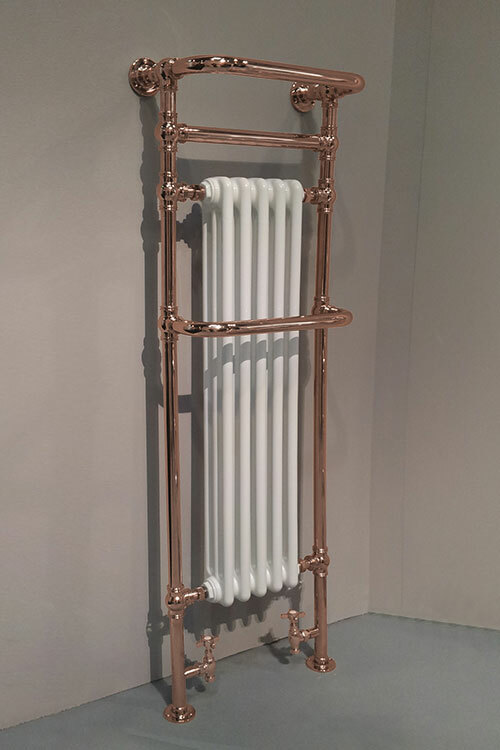 The Chester radiator is designed and made in the UK to the highest quality standards. Copper plated to special order. "Designed, Made and finished in Britain"
• Traditional ball jointed design. 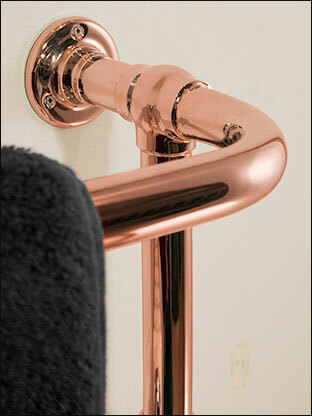 • Quality copper plated finish. 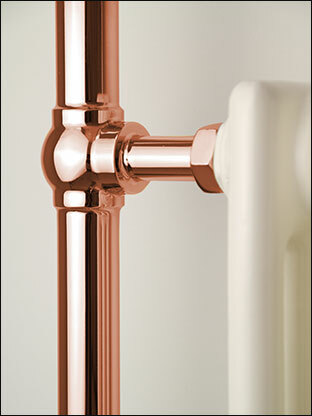 • For central heating systems as standard. • Dual fuel & electric only upgrades available. 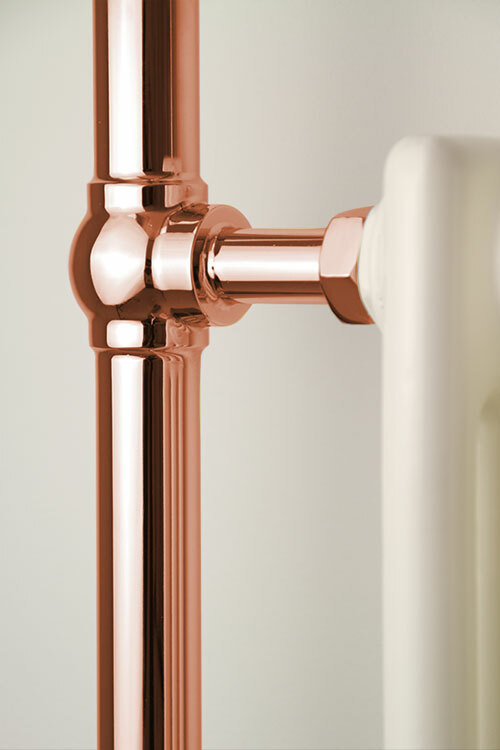 • Copper finish is supplied to special order. • output based on central heated format. • Allow 6 weeks for manufacture. • Bespoke sizes on request.